After you file a FAFSA, the Financial Aid Office draws up your projected budget to determine what your need for funds will be and for what kind of aid you qualify. If you qualify as a "student in financial need", you will be eligible for various types of aid. Based on your need, the Financial Aid Office compiles a list of grants and loans for which you qualify. Their recommendations will be sent to you in an Award Letter. The Award Package will include loans as well as other kinds of state and federal aid. All students are eligible to apply for an Unsubsidized Loan. Interest on these loans will be charged during your college years; and during the six-month grace period after you graduate, withdraw, or drop below six credits; and also during periods of loan deferment. You choose whether to pay interest during college years as it is being charged or to delay payment and simply include it with the rest of the borrowed money to be repaid after leaving school. Students with financial need are eligible for a Subsidized Loan. Interest on a Subsidized Loan will not be charged until the student graduates, withdraws, or drops below six credits. If necessary, a student getting a Subsidized Loan may supplement their loan with an Unsubsidized Loan. Another type of loan available is the Consolidation Loan with which a student can combine several student loans (even at different colleges) into one loan, repayable with one monthly payment. As of July 2010, student loans will be made, not with banks, but with the Federal Government. There are yearly maximums on both subsidized and unsubsidized loans which limit the amount you can borrow each year. Your budget -- estimated living expenses plus the cost of college minus your family’s expected contribution and any other income you may receive-- will determine the amount you are eligible for (not necessarily the maximum). These limits apply to dependent students whose parents are unable to borrow a PLUS loan. $31,000 for dependent undergraduate students excluding those whose parents are unable to borrow a PLUS Loan -- no more than $23,000 may be subsidized. $57,500 for independent undergraduate students and dependent undergraduates whose parents are unable to borrow a PLUS Loan-- no more than $23,000 may be subsidized. You should evaluate the award package carefully. Remember: loans must be paid back. Be sure to check whether or not your living expenses will be as high as the estimated allowance projected by your school; if they aren’t, you may not need to borrow as much money as the amount in the award package. To get an idea of your monthly loan payments after you graduate, see the Repayment Calculator on the government web site. You have the right to decline the loan or to request a smaller loan than the amount given in the award letter.Remember that loan money must be paid back with interest.You should only borrow as a last resort. Students must be completely free of influence by the college as they select a lender for their private education loan. SUNY Orange will not participate in revenue-sharing arrangements with lenders. SUNY Orange does not request or accept from any lender any assistance with call center staffing or financial aid office staffing. No officer, employee or agent of SUNY Orange who is employed in the financial aid office or who otherwise has responsibilities with respect to education loans, will solicit or accept any gift or other thing of value from a lender, guarantor, or servicer of education loans. You should be aware that certain items provided or contributed by lenders are not considered gifts, such as training materials, philanthropic contributions unrelated to education loans, and entrance and exit counseling services. No officer, employee or agent of SUNY Orange who is employed in the financial aid office or who otherwise has responsibilities with respect to education loans, will accept from any lender or affiliate of any lender, any fee, payment, or other financial benefit (including the opportunity to purchase stock) as compensation for any type of consulting arrangement or other contract to provide services to a lender or on behalf of a lender relating to education loans. SUNY Orange will not, for any first-time borrower, assign, through award packaging or other methods, the borrower's loan to a particular lender or refuse to certify, or delay certification of, any loan based on the borrower's selection of a particular lender or guaranty agency. 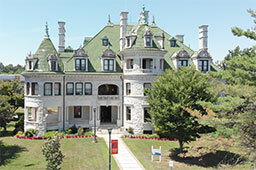 SUNY Orange will not request or accept from any lender, any offer of funds to be used for private education loans, including funds for an opportunity pool loan, to students in exchange for the campus providing concessions or promises regarding providing the lender with a specified number of loans made, insured, or guaranteed, a specified loan volume, or a preferred lender arrangement for such loans. No employee of SUNY Orange who is employed in the financial aid office or who otherwise has responsibilities with respect to education loans or other student financial aid and who serves on an advisory board, commission, or group established by a lender, guarantor, or group of lenders or guarantors, will receive anything of value from the lender, guarantor, or group of lenders or guarantors for such service. Accept the award package on Banner. You must undergo Entrance Counseling online to clarify your responsibilities regarding the loan. You must complete a Master Promissory Note (MPN). After you file your MPN, you will receive a disclosure statement, noting the amount of the loan, fees for loan origination, and the expected disbursement dates and amounts. Additional loans can be made with this one MPN for a period of ten years. There are two kinds of loans: unsubsidized and subsidized. Link to Student Loan Website for current interest rates. After the student submits financial information on the FAFSA, the Financial Aid Department determines whether a student is eligible for a subsidized or unsubsidized loan. The government subsidizes the interest on your subsidized loan while you are in school. You are responsible to pay the interest only on your unsubsidized money while in school. The length of the repayment period varies with the plans. If you don’t select any particular repayment plan, you will automatically be put in the standard plan with fixed monthly payments for up to 10 years.This plan saves you the most money over time because it doesn’t have interest added during an extended repayment period. Another plan starts with low repayment amounts and slowly increases the amount over time. No matter what plan you are in, you can change your plan at any time. Click on ‘Your Account" ’Link to Student Loan Website. The Financial Awareness Counseling Tool provides students with five interactive tutorials covering topics ranging from managing a budget to avoiding default. Students are able to access their individual loan history and receive personalized feedback that can help them better understand their financial obligations. You are free to change your plan at any time during the loan process. Instead of mailing in a check every month, carefully timed to meet the due date, you can opt for an electronic debit account in which your bank automatically make your monthly payments directly out of your checking or savings account. Your first repayment bill will explain how to sign up for this option. A big advantage of making automatic repayments is that there may be a reduction in your interest rate. Check with your servicer for current offers. Even if you have taken out student loans at other colleges, they can all be consolidated, along with your current loan, into one loan with one monthly payment. Consolidation will usually extend the loan-repayment period, but note that such an extension results in additional interest costs. For additional information on loan consolidation Link to Student Loan Consolidation, or call 1-800-557-7394. Generally, your loan will cover costs for one year, and the school will make two disbursements, one half in the Fall semester, the other half in the Spring semester. You will be notified of each disbursement. Usually, the school will disburse the loan money by crediting it to your school account to pay for tuition and fees. If there is money remaining, the school will pay the money directly to you. If the loan disbursement is more than you need, the school will tell you how to cancel all or part of the disbursement. If you drop to less than half-time enrollment (minimum 6 applicable credits) or completely withdraw from college before your loan money is disbursed, it will be returned to the federal government. Be sure to carefully keep all correspondence regarding your loan. Student loans are to be used only for “education expenses” which include tuition, fees, books, supplies and equipment, living expenses, cost of care for a dependent child, transportation, and the cost to rent or buy a computer. At the time you graduate, withdraw, or drop below half-time enrollment, you will begin the six-month grace period for your subsidized and/or unsubsidized loans. Immediately after the grace period ends, you must begin to repay your loan. You can choose whether to make interest payments while you are in school or to defer these payments by adding them to the rest of the loan to be repaid later. You can determine how much more it will cost to defer interest payments with the loan calculator at Link to Student Loan Website. Before you leave school or drop below half-time, you must complete an online exit Interview . Whether you are graduating, withdrawing, or dropping below half-time enrollment, you will begin a six-month grace period, after which your repayment period will begin. Be sure to notify the Financial Aid Office and as well as the Direct Loan Service Center when you are no longer enrolled. Your grace period begins the day after you graduate, withdraw, or drop below half-time enrollment. If you re-enroll in school at least half-time before the end of your grace period, you will receive the full 6-month grace period when you graduate or withdraw from school. During the grace period, you are not required to make loan repayments. NOTE: You must begin repayment at the end of the grace period.However if your loan repayment has already been deferred and you have used up one grace period, there will be no additional grace period and repayment must begin as soon as your leave school.If you do not begin making payments when required, there is a possibility you will lose repayment incentives you have received or even go into default. If you are called up for military service for more than 30 days, notify by Link to Student Loan Website of your status, so loan accommodations can be made. Your loan becomes ‘delinquent’ when your payment is not received by the due date. The Service Center will send you a reminder if your payment is late, and, if your payment is still not received, warning notices will be sent to you. Student is enrolled at least half-time in college, or student is unemployed and/or is eligible for ‘economic hardship’, or student is in military service. In the case of a Subsidized Loan, interest does not accrue during deferment. Forbearance is for those who do not qualify for deferment, yet are temporarily unable to make loan repayments. NOTE: If you are delinquent, contact the Direct Loan Service Center immediately to learn how to bring your account current. Late fees may be added and your account reported to one or more credit bureaus but this is better than going into default. You will be required to immediately repay the entire balance owed on your loan. The government may sue you, appropriate all your federal and state tax refunds, and/or garnish your wages so your employer will be required to send the government part of your salary to pay off the loan. If sued, you will have to pay attorney fees and court costs. You will lose eligibility for federal student aid, state aid and loan deferments. Your default will be reported to credit bureaus. Your school closed down before you completed your program. Your school forged your signature and falsely certified you were eligible to get the loan. Your loan was falsely certified because of identity theft. You withdrew from school but the school didn’t pay you the refund it owed you. In general, however, you must repay your loan even if you don’t graduate, can’t find work in your field of study, or are dissatisfied with the education program. Your loan may be cancelled if you are certified totally and permanently disabled, and in addition if you meet certain conditions. Your loan may be cancelled if it is discharged by a bankruptcy court. Your loan will be cancelled if you die and if the Direct Loan Service Center is given a certified copy of the death certificate. Direct Loans are especially designed to meet the student needs with features like low interest rates which are capped, no requirement for a cosigner or other security, choice of repayment plan, and other accommodations. This is a credit based loan requiring a cosigner. A matriculated and non-matriculated student would qualify for an alternative loan. Matriculated students must be enrolled in a degree credit bearing program and must file the FAFSA. A non-matriculated student who is enrolled in a non-degree certificate program through the Continuing Education Department does not need to file a FAFSA to qualify for an alternative loan. The Financial Aid administrator does the certification for all alternative loan requests. The certified amount may not exceed the student's cost of attendance. For more information contact the financial aid office @ 845-341-4190. NOTE: The identity of the student and cosigner are done through the issuing agency not through the College. If the student is a non-matriculated student, the financial aid administrator checks with Continuing Education to see if the student is enrolled in a certificate program through CE and/or with the Student Accounts Office or by reviewing the registration screen in Banner. The lender is the U.S. Department of Education Link to Student Loan PLUS Loan Website. The interest rate is somewhat lower than it was under the earlier program, known as the "FFEL program". Parent and student must be US citizens or eligible non-citizensParent and student must not be in default on any federal education loans or owe an overpayment on a federal education grant. Parent must have a favorable credit history,ormust be able to explain circumstances that created their credit problems,ormust have a credit-worthy cosigner who will pay off the loan, if necessary. The maximum amount of a Parent PLUS loan is 'the cost of attendance' minus any other financial aid received (such as Direct Subsidized or Unsubsidized Loans). The 'cost of attendance' is the total amount of tuition and fees paid directly to the college, books and supplies, transportation, and personal expenses--including the cost of a computer. The Financial Aid Office will determine the actual amount that can be borrowed, based on 'the cost of attendance'. The interest rate for Parent PLUS loans is a fixed rate. Link to Student Loan PLUS Loan Website for the current rate. In addition, there is also a loan origination and default fee, check Studentloans.gov for the current fee, deducted proportionally each time a disbursement is made. Interest will begin to accrue as soon as the first disbursement is made. First, apply for a Parent Plus loan with the lender of your choice. You will then wait for a credit approval or denial from that lender. The lender will notify the school if you have been approved or denied your Parent Plus loan. Parent Plus loans are credit based. Those who have never before taken out a Parent Plus loan for the student will need to sign a Master Promissory Note (MPN) for parents, (there are two tabs, be sure you go down to the bottom of the page and click on Parentto fill out the proper MPN). A MPN is a legal document in which the borrower promises to repay the loan, plus any accrued interest and fees to the US Government's Education Department. The MPN will explain the terms and conditions of the loan. Parents who are borrowing for more than one student will need to complete a separate MPN for each student (unless they already have an MPN for the second student). Once MPNs have been submitted and accepted, each MPN will stay in effect for up to ten years for additional loan activity. If students' parents applied for but were denied a PLUS Loan, the students are then eligible receive additional Direct Unsubsidized Loan funds themselves. The US Department of Education sends the money directly to the school. Generally each loan will cover a full academic year, and the school will make two disbursements, one at the beginning of each semester. The school will credit the money against the student's costs for tuition and fees, and any excess money will be sent to the student in the form of a check. The parent will receive a disclosure statement specifying the loan amount, the loan fees, expected disbursement and disbursement dates, and information about the loan servicer to whom repayments will be made. The loan servicer will issue regular updates on the status of the loan. Once the loan has been fully disbursed, the repayment period will begin 60 days after final disbursement, although the parent may defer repayment if the student continues to be enrolled at least half time and for an additional six months after the student ceases to be enrolled at least half time.At that time, the parent begins repayment on the loan. The Direct Parent PLUS Loan Program offers three repayment plans--standard, extended, and graduated--that are designed to meet the varying needs of borrowers.The terms will differ, but in general, borrowers will have between 10 and 25 years to repay the loan. After parents have begun repayment in one kind of repayment plan, they are free to switch to another, more manageable plan, by arrangement with the loan servicer. If parents do not qualify for deferment, they can request 'forbearance'--a temporary postponement or reduction in the amount of the payment, due to hardship.However, interest continues to accrue during forbearance. The funds disbursed in the Parent Plus Loan program cannot be used for any other purpose than the student's costs of education. Parents should pay particular attention to the very high penalties they will have to pay if they should default on their loan. Congress passed a bill "Moving Ahead for Progress in the 21st Century Act" which has established time limitations on Direct Stafford Subsidized Loans. This new law will be effective for first time borrowers or borrowers who have paid off their loans and are borrowing again as of July 1, 2013. This law allows you to receive Direct Stafford Subsidized Loans only within 150% of the length of your program of study. Once you have reached the end of this limit you are no longer able to receive Direct Stafford Subsidized Loans. For example: if you are enrolled in a two-year associate degree program, the maximum period for which you can receive Direct Stafford Subsidized Loans is three years (2 x 150% = 3 years). I transferred into a shorter program and lost eligibility for Direct Stafford Subsidized Loans because I have received Direct Stafford Subsidized Loans for a period that equals or exceed my new, lower maximum eligibility period, which is based on the length of the new program. Keep on track with your academic program of study. If you are unsure that you are taking the appropriate classes you can talk with your Academic Counselor or Advisor in the Counseling Office to ensure that your program of student is accurate with your college. Transfer students will need to be careful no to change majors from you previous college for meeting the new Subsidized loan rule. This is available to you online so you can access your account day and night for information and for making payments.